Looking out at the balloons in the air over Cappadocia, Turkey. 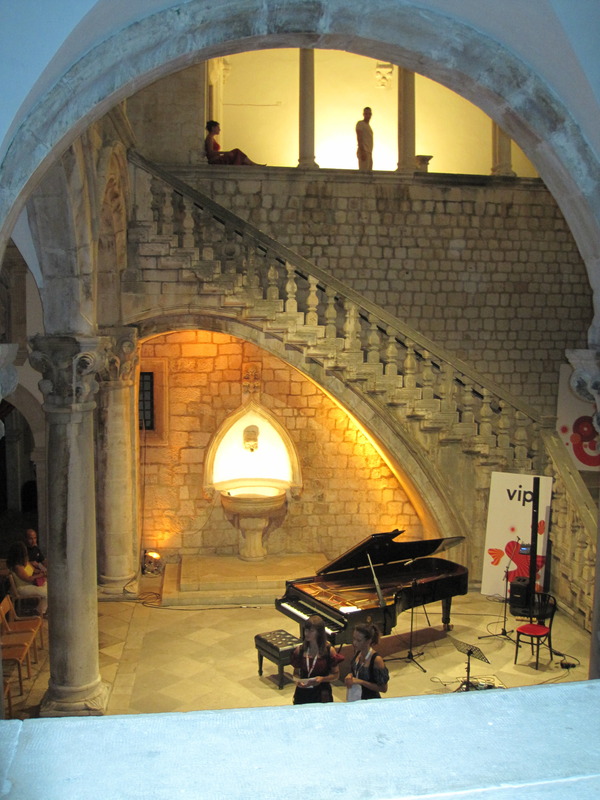 When entering a jazz concert at the Rector’s Palace, during the Summer Festival, you are handed a program and a moist towelette. (which you will need because there is no air conditioning or windows. You will also be putting cold water on your face during the intermission. ) But it will be worth it, the musicians were great. At the Dominican church in Dubrovnik the columns are filled in halfway up. This is so you can’t see the ankles of the women as they walked up the stairs. 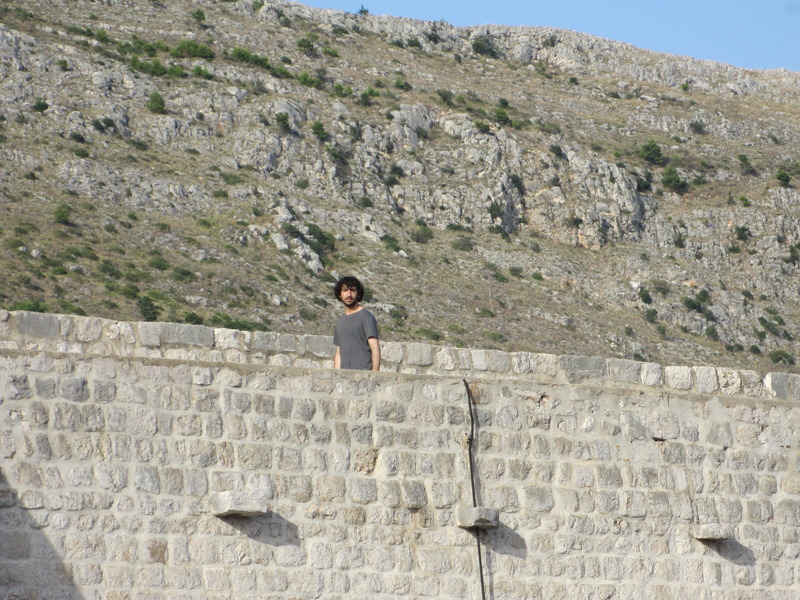 In the old city in Dubrovnik, you will find War Photo Limited. It is a museum devoted to war photojournalism. The exhibitions are different conflicts throughout the world. The lesson is that war is bad no matter what side you are on. It is very well done and graphic- not good for children. American Express is not as welcome in Croatia as American tourists. Bosnia Herzekovina is a good place to buy cheap liquor, cigarettes, bootleg movies and drugs. Croatians refer to communism as the time of the Yugoslavia. 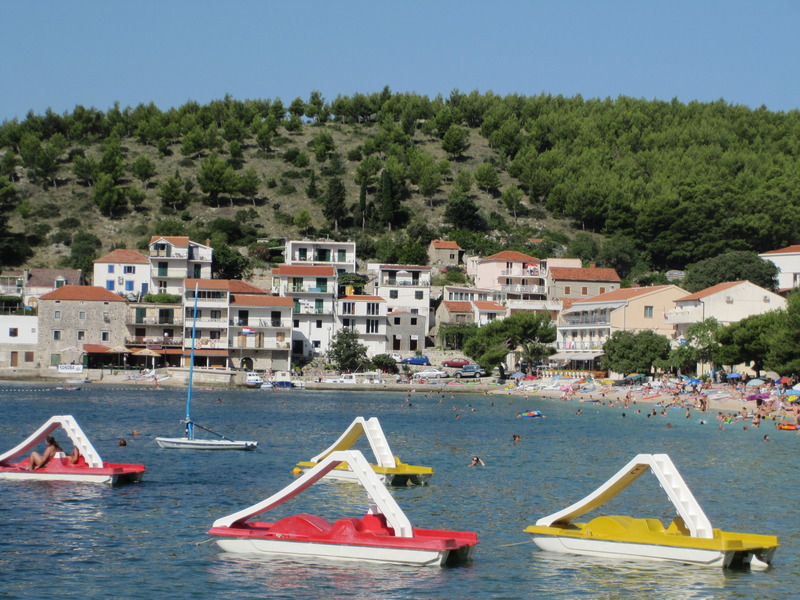 If you like oysters, you must go and see the oyster beds and have lunch in Ston. Even if you don’t like oysters (me), you should go. If you like wine tasting, you can do that on the way. If you need to get money from a bank in Dubrovnik any American passport will do. 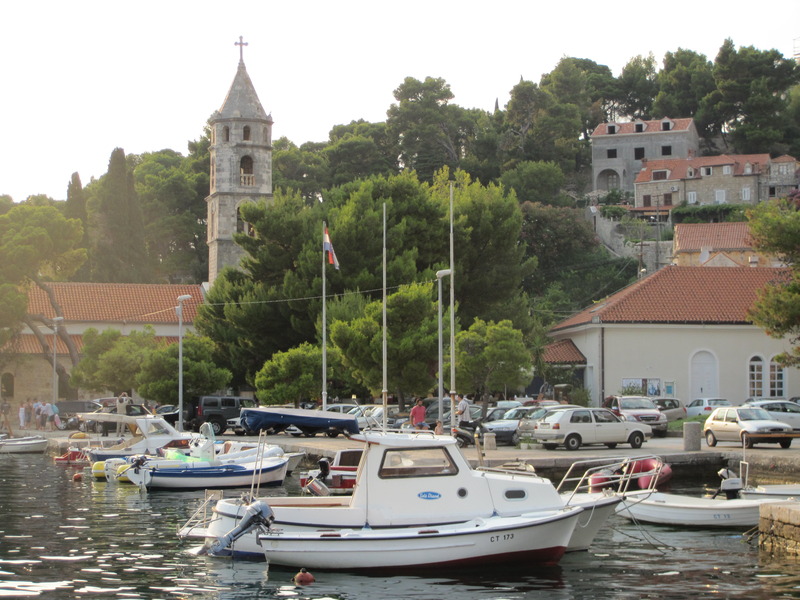 The old city of Dubrovik and Diocletian’s Palace are both UNESCO protected sites. 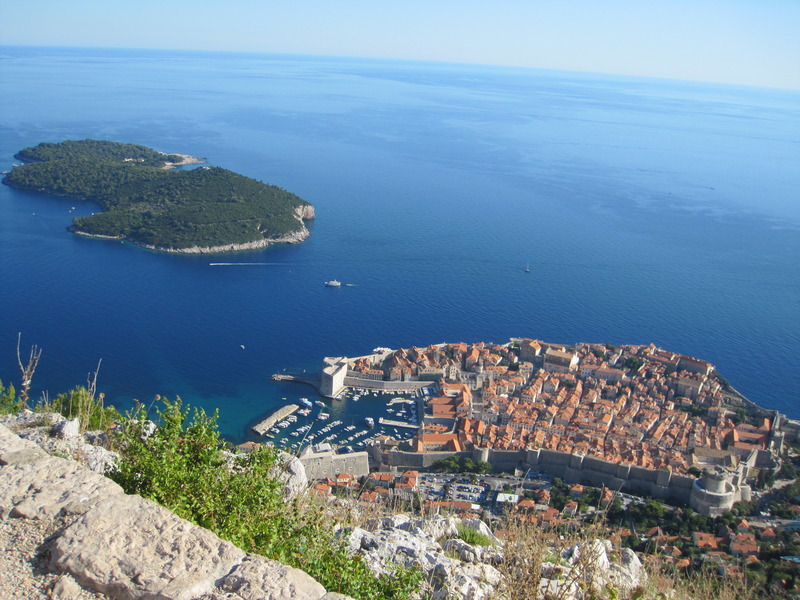 In the 1991 battle for independence, the old city of Dubrovnik was in flames. The UN did not go in and protect it. We aren’t really sure what UNESCO protected site means. Georgio Armani has a black yacht. 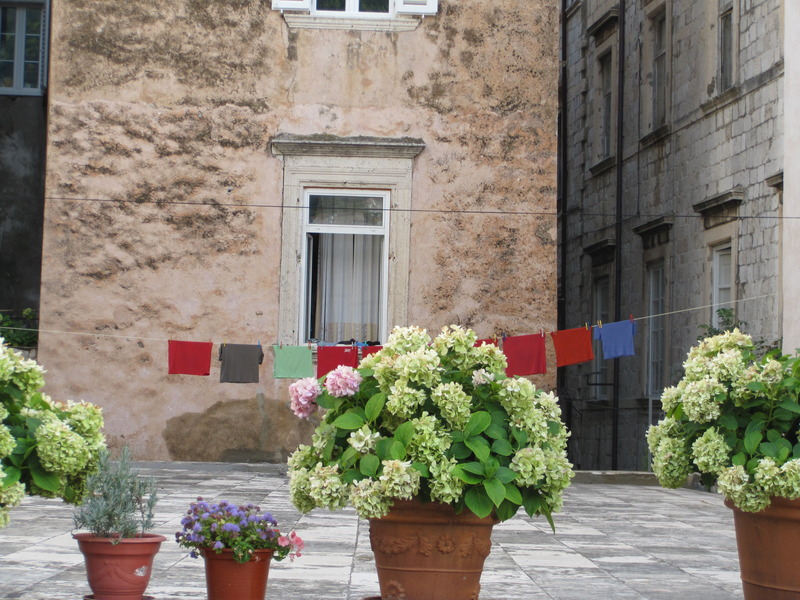 Walking the walls around the old city in Dubrovnik is good way to look into people’s backyards and see their plants and hanging laundry. If you are walking the walls of the old city, and it is summer, try not to be behind a hairy sweaty man with his shirt off, where it gets very narrow and crowded. 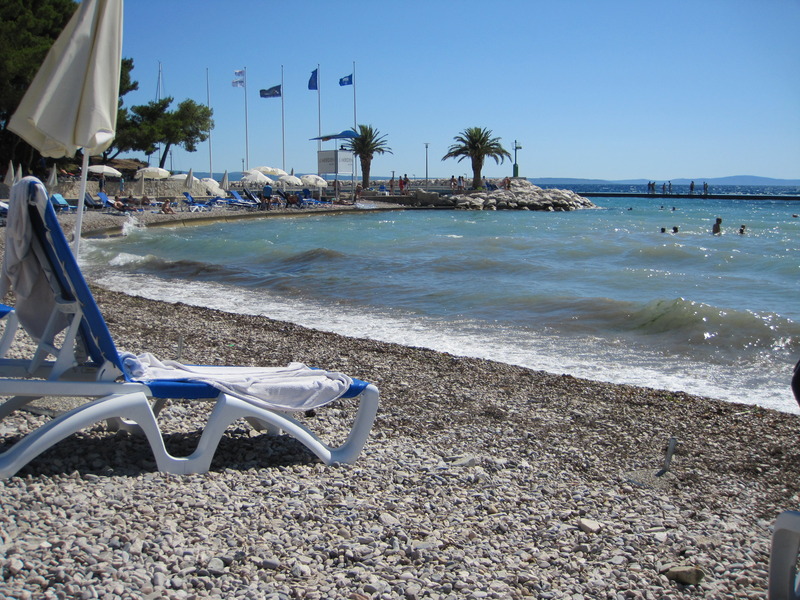 The Adriatic Sea is twice as salty as the Pacific which is why the fish tastes so much better. They have been soaking in brine for their entire life. 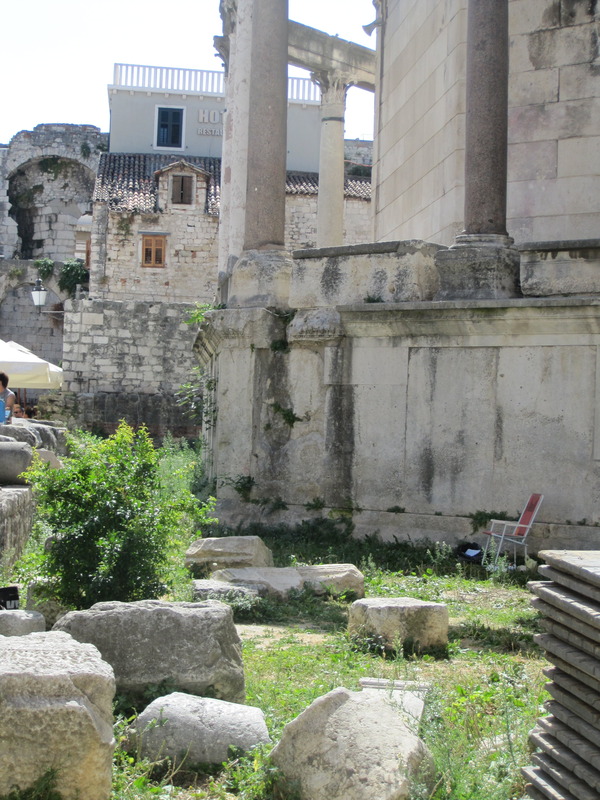 The stone used to build Diocletian’s Palace in 300AD and the stone for the White House both came from the island of Brac. 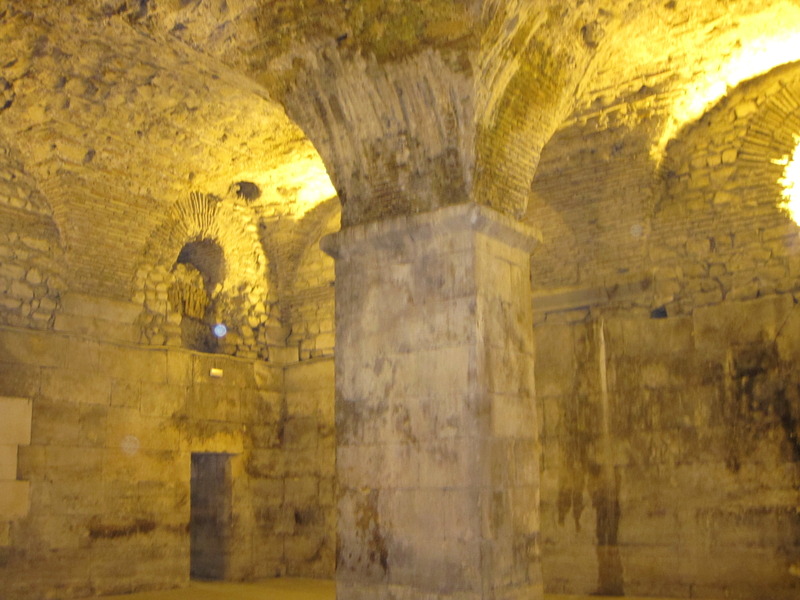 Diocletian used thousands of Christian slaves, Im not sure what religion the slaves that built the White House were. 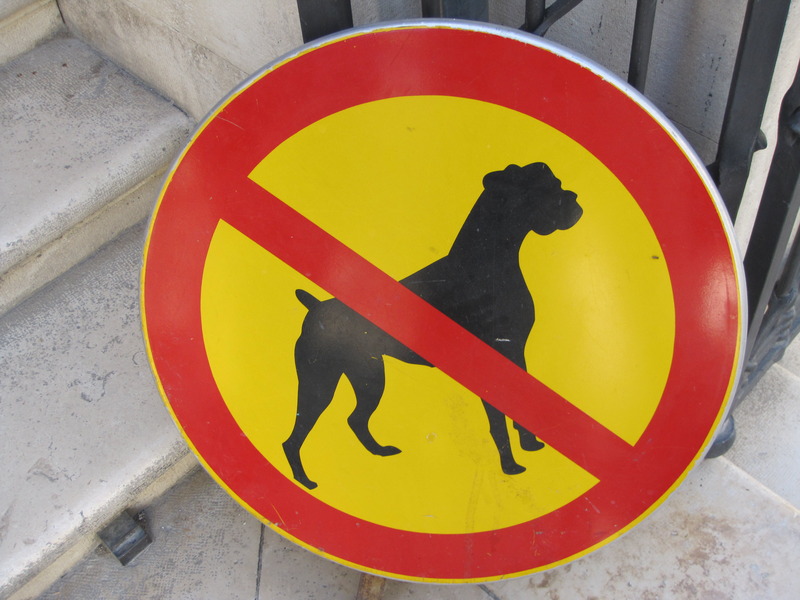 Apparently no dogs are allowed in the Palace. 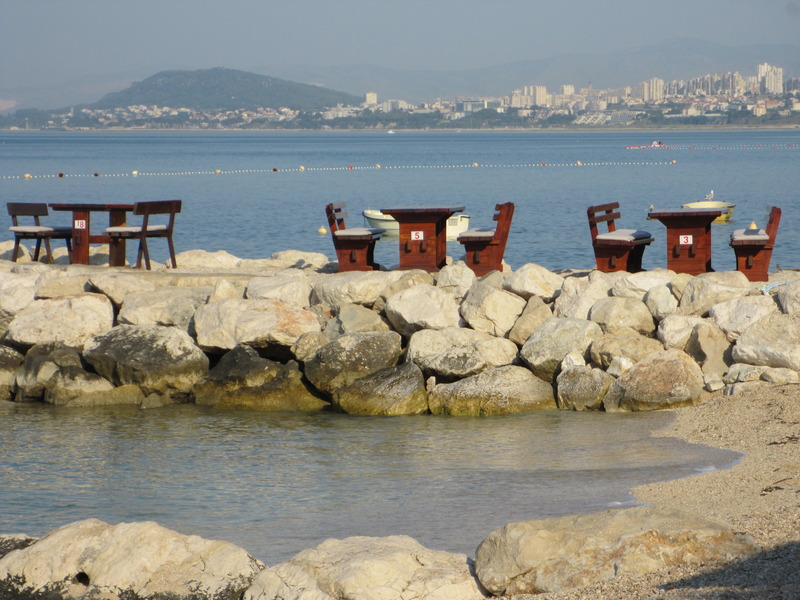 A table with a view of the sea in Split is a whole different thing. Everywhere in Croatia is a photo opportunity. Here we are waiting for the car ferry to Hvar. Bubba Gumps is spring break in Hvar. 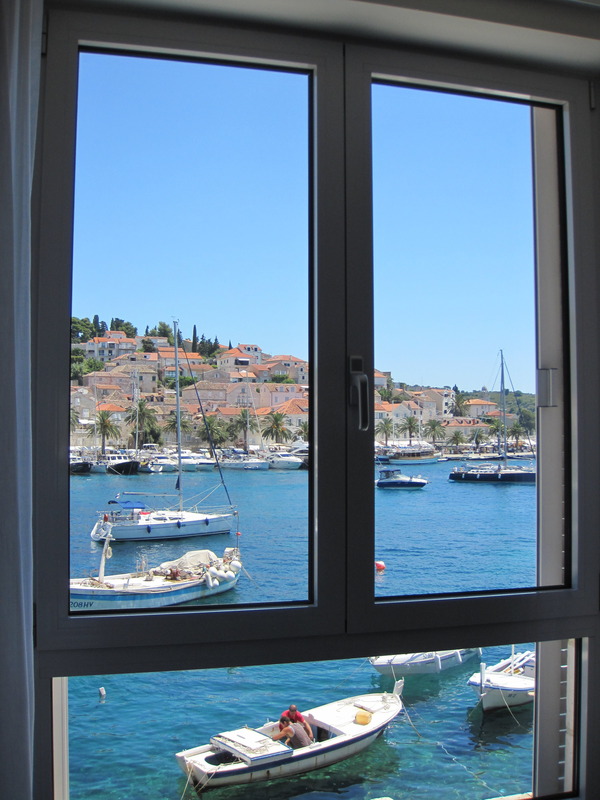 I cant get enough of Hvar harbor -a view from the room. 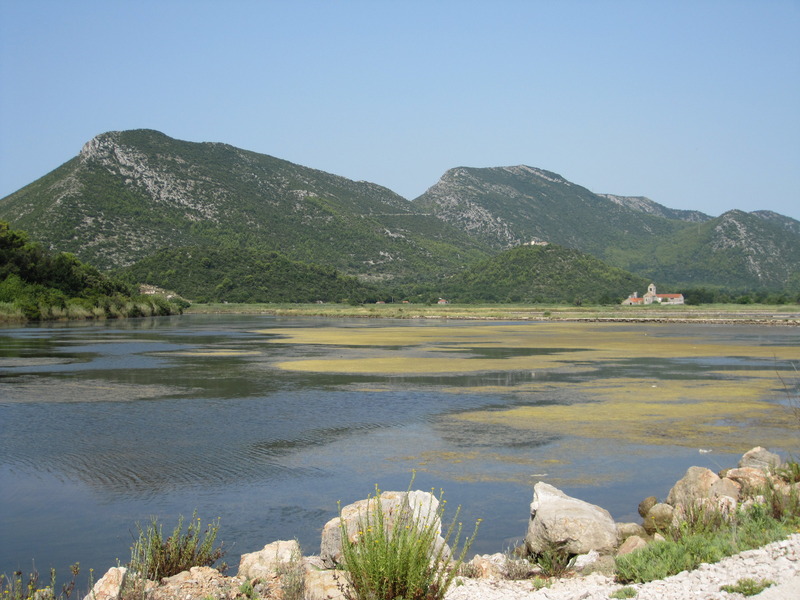 Hvar is the number one grower of high quality lavender. Yes, I brought back a lot of lavender oil. It is great to eat seafood in a restaurant in Cavtat when the owner is walking in wearing a bathing suit and carrying the fish. It is not so great to do the meet and greet with the fish beforehand. My favorite foods are grilled octopus and squid. 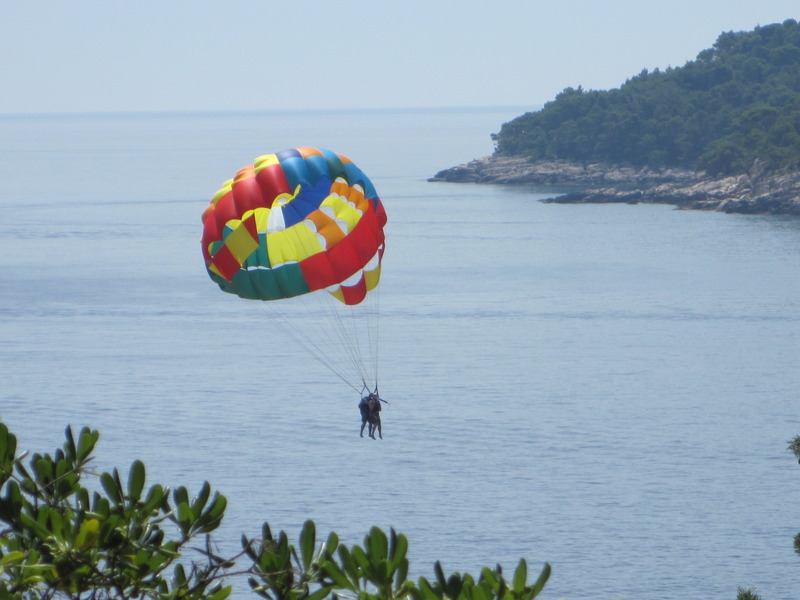 I was so happy to have it every day in Dubrovnik, Hvar and Split. After a while everything becomes like chicken. According to my kids, when I am speaking to someone who’s second language is English, English becomes my second language as well. Rick Steves -Love Him or Hate Him? I have this hate love affair with Rick Steves. Rick Steves is the host of Rick Steves Europe on American Public Television and Public Radio. He has published many guide books. On the surface , we have nothing in common. Rick travels around Europe with a backpack or carry on luggage (which never looks very heavy). He wears relaxed comfortable clothing and sensible footwear. He motors through countrysides finding quaint inns and farmhouses to stay in. He is always looking at something old. He goes to places that we have been to or would like to go to –nothing outrageous or dangerous. If he is shopping , it is in some outdoor market or picturesque shop. He is always using a lot of hand motions to show that he is buying it for himself to eat now. There is nothing that Rick Steves ever buys that I would want. He has perfectly behaved children who eat Sacher Tortes in the Bavarian countryside and don’t get hopped up on sugar. Sometimes they stay with a Czech sitter at the hotel while Rick and his wife go to a medical spa in Karlovy Vary. Rick is the everyman of traveling. So what is his appeal for me? He makes us feel safe and comfortable in a place we have never been. If Rick has been there or met them, we will be ok.
That is how I ended up having an amazing vacation in Croatia with my kids. I had been trying to go to Croatia for two years. Both my tour and my cruise had been cancelled. I decided to use the internet for the first time to find a tour guide. I found Petar Vlasik . I went to look at his references and there it was –recommended by Rick Steves. I immediately emailed Petar and he immediately emailed back. I had a good feeling and ….Rick Steves liked him. 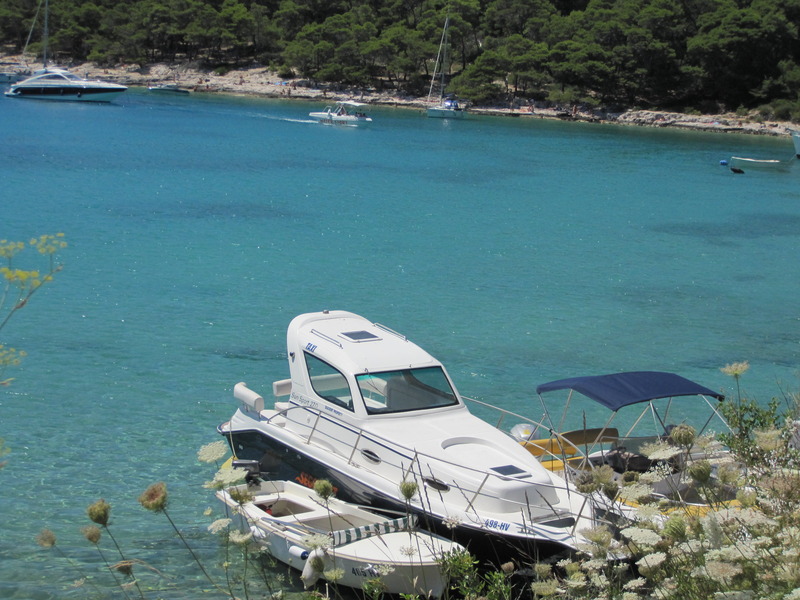 We planned to go to a few places in Croatia – Dubrovnik, Hvar, Split and Cavtat as well as some side trips. . Petar was an amazing charming, knowledgeable, helpful cool guy to organize our trip and take us around . The trip was perfect. We have a friend in Croatia. I highly recommend Petar to all of you when you go to Croatia (and you must). 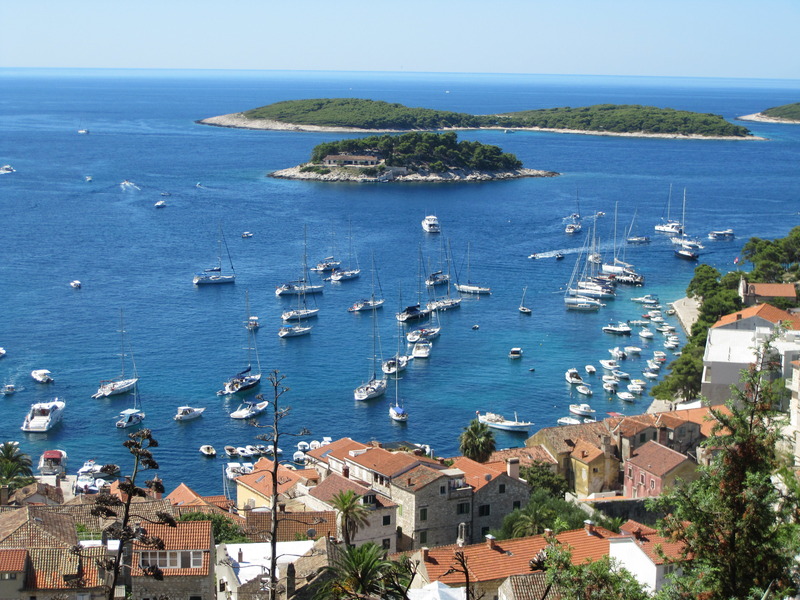 http://www.dubrovnikrivieratours.com Would I have done this without Rick Steves? ( I do now – that is another blog) I like to think I have good intuition but Rick Steves definitely helped. Which is how I came to watch his shows . We aren’t as different as I would like to think. I realized that I love to travel as much as he does. I love meeting the people in new places as much as he does. I love the old churches and ruins as much as I love the modern buildings and contemporary art. I admire him for making a successful career out of his passion. I love his enthusiasm over a tiny hand made flute or an old French cheese. I feel exactly the same way when I find the perfect bracelet or walk into an amazing five star hotel.